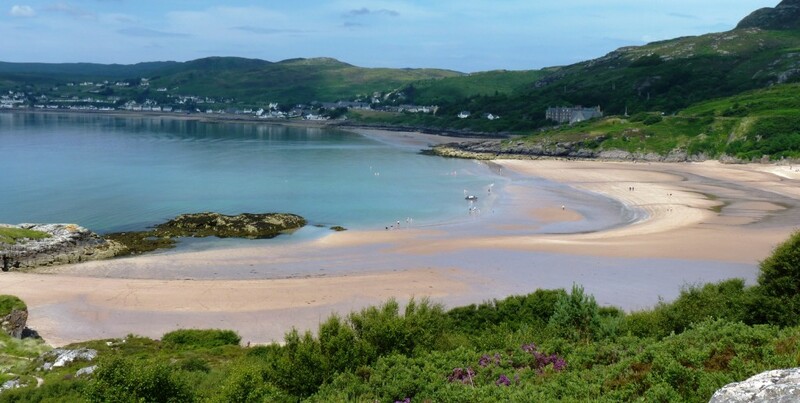 Gairloch is a small coastal village in Wester Ross, in the north west highlands of Scotland. We chose it as a holiday destination because of its fantastic scenery, wildlife watching and walking opportunities. The downside is usually the rain, but we were incredibly lucky as our trip coincided with the UK heat wave. We camped at Sands Caravan and Camping; there’s plenty of other accommodation if camping isn’t your thing. The village is strung out along the shores of Loch Gairloch. The harbour area, also known as Charlestown, has several operators offering boat tours. 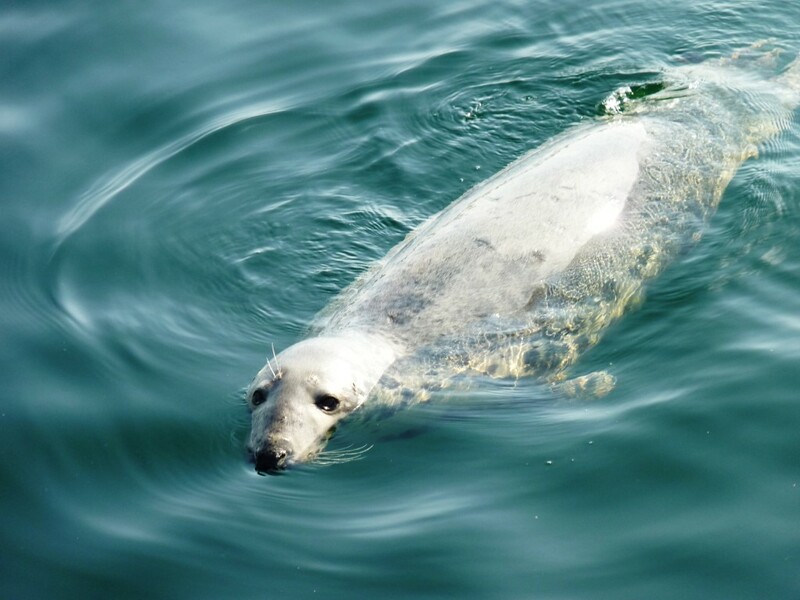 If you’re lucky you might see the Sammy the seal, who follows the boats in and hangs around the pier area. From the harbour you can take a path up and over to the beach behind the golf course. Jellyfish are pretty common in the waters around here as it’s in the warming path of the Gulf Stream, so you certainly need to keep an eye on the beach when you’re walking. Keep an eye out for the jellyfish! Away from the beach you’ll find the aforementioned golf course, a few cafes and inns, beach shops, a leisure centre and a tourist office (with free wi-fi). There are no large supermarkets in the area, so we stocked up at Strath Stores. The shop has a very popular sandwich bar, which we made use of every day of our holiday. Gairloch also has a Heritage Centre, which I’d saved for a rainy day, but the weather was so great that we didn’t get around to visiting it. 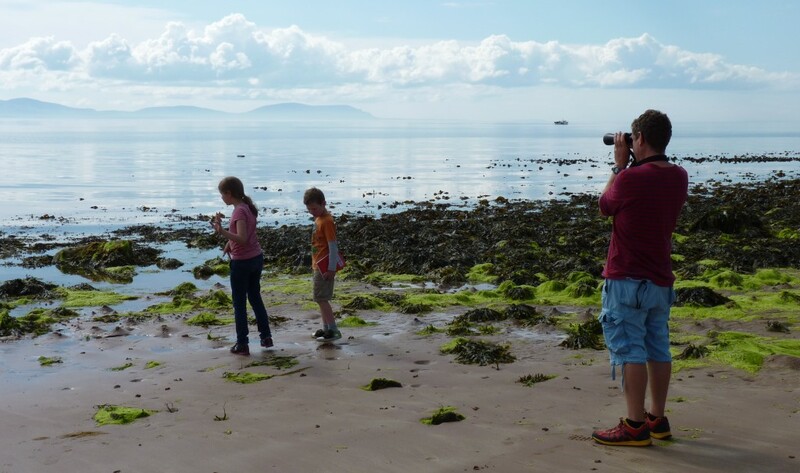 Gairloch is one of the best places in the UK for marine wildlife watching. 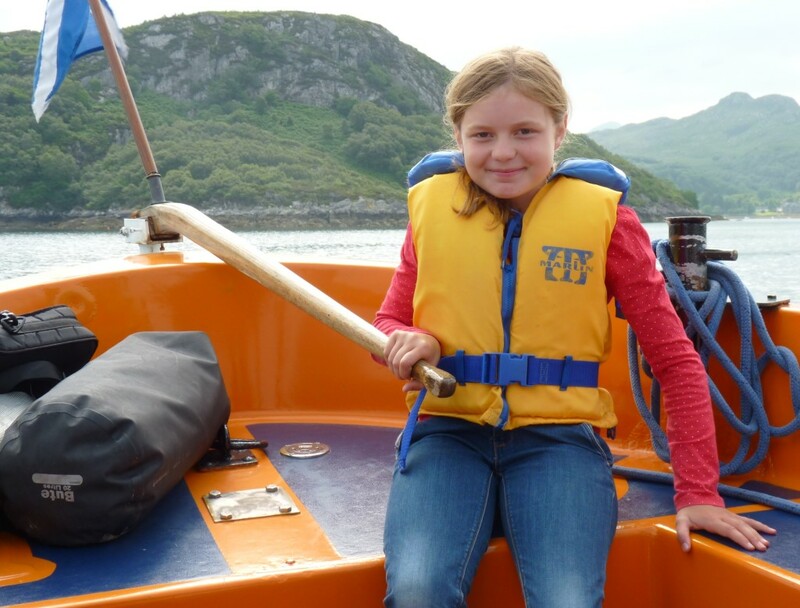 I’d have loved to go on one of the whale watching tours, but the cost was prohibitive for our family, and I’m not sure I’d have enjoyed the reality of a day at sea in a small bumpy boat. 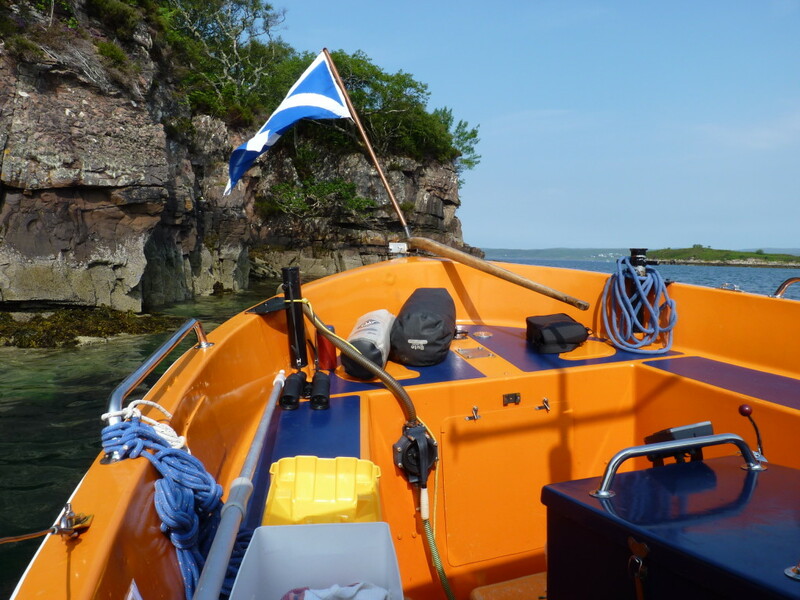 We therefore settled on a glass bottom boat tour around Gairloch harbour. Whilst this didn’t initially sound so exciting it turned out to be a great decision. The tours are run by Richard, an enthusiastic and knowledgable Lancastrian. The boat is converted so that everyone can have a viewing portal into the sea under the boat. The underwater viewing works best in shallow waters, in deeper areas you just see your reflection in the window. The kids were given an ID sheet and tick list to record the wildlife. Amazingly within about 5 minutes of setting off they were able to tick harbour porpoises off the list! Underneath the boat we saw several different types of jellyfish, starfish, sea urchins, anemones and a variety of seaweed. We were also lucky enough to see common and grey seals. 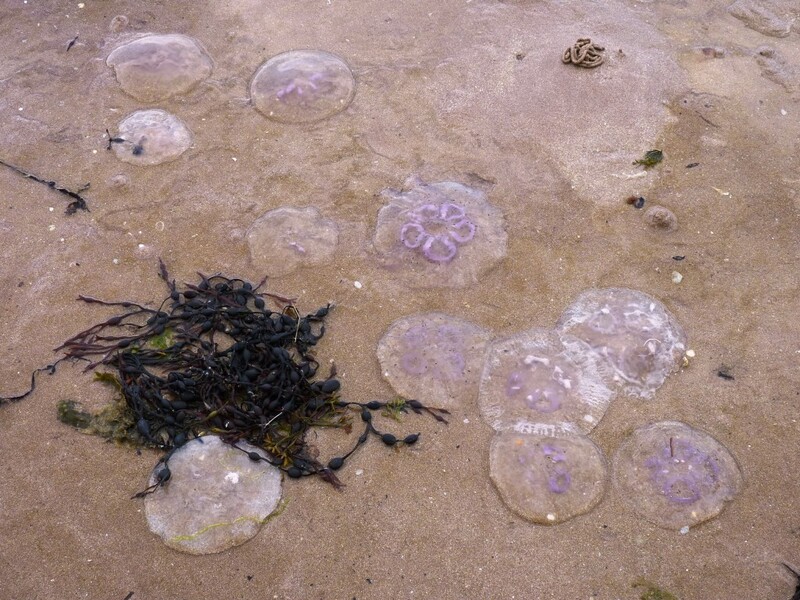 At one point Richard scooped a jellyfish out of the water, to give everyone a closer view. The kids were given an opportunity to carefully touch it, before it was released back into the sea. The highlight for the kids happened on the way back, when they were given a chance to steer the boat. Both thought this was amazing and had huge smiles on their faces. 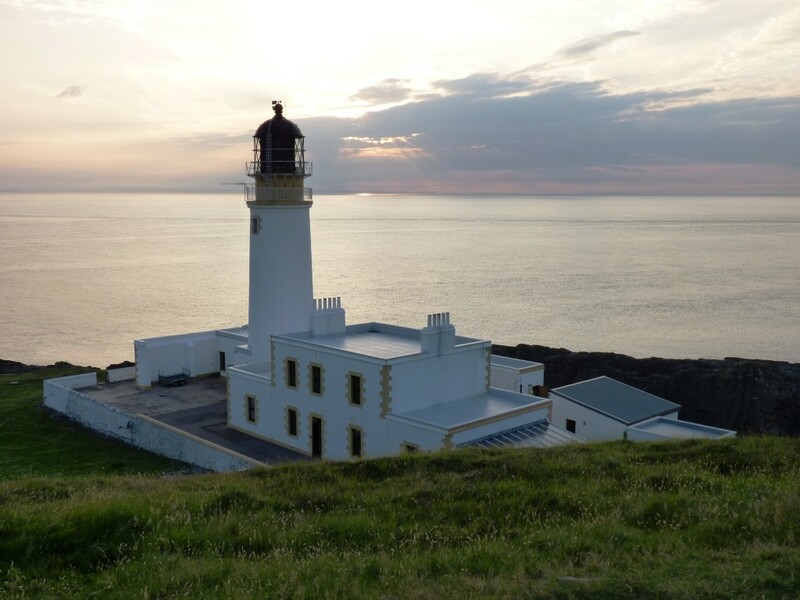 We set out to walk to Rua Reidh lighthouse from Melvaig one evening. It’s only 3 miles to the lighthouse along a straightforward track but after a mile or so we almost had to admit defeat. The midges were horrendous! At the lighthouse we immediately spotted minke whales through our binoculars. After a while the whales moved on so we walked the last short stretch down to the lighthouse. It’s still a working lighthouse, but also has a guesthouse and self-catering apartment. It looks like a lovely place to stay, but is 12 miles from the nearest shop, so probably not for everyone. No facilities are available for casual visitors, and the private road can only be used by those with an accommodation booking. 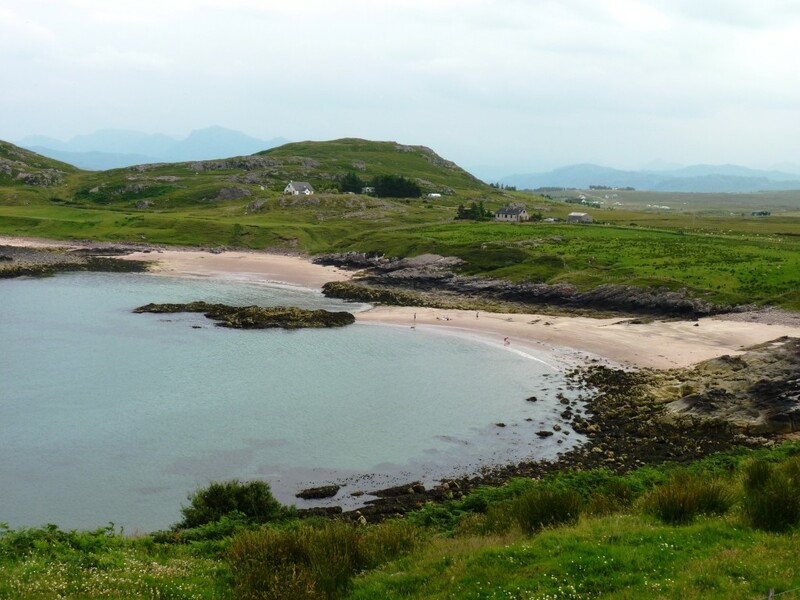 You can head north or south from Gairloch and find deserted beaches in the most stunning locations. We drove to Poolewe, which was used in the Second World War as a base for convoys to gather before sailing to Arctic Russia. We took the road out to Cove, to visit the remains of gun emplacements and a memorial to the sailors who took part. It’s difficult to imagine how different this peaceful area would have been 70 years ago. The local community is campaigning for a new museum in the area to tell the story of the convoys. Another road, heading south from Gairloch, took us to the village of Badachro and then onto Opinan Beach. The view over to Skye was stunning, and the beach itself had lots of interesting shore life to discover. 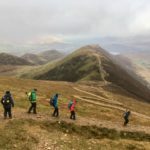 There are plenty of mountain walks for experienced and well-equipped walkers, but we found the walks more limited for family rambles. 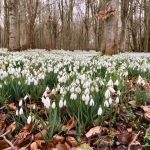 Apart from strolls along the beaches we walked up to the waterfall in Flowerdale Glen, which was named by the estate owners for its displays of wild flowers. The walk was enjoyable but marred slightly by the abundance of horse flies at the falls. 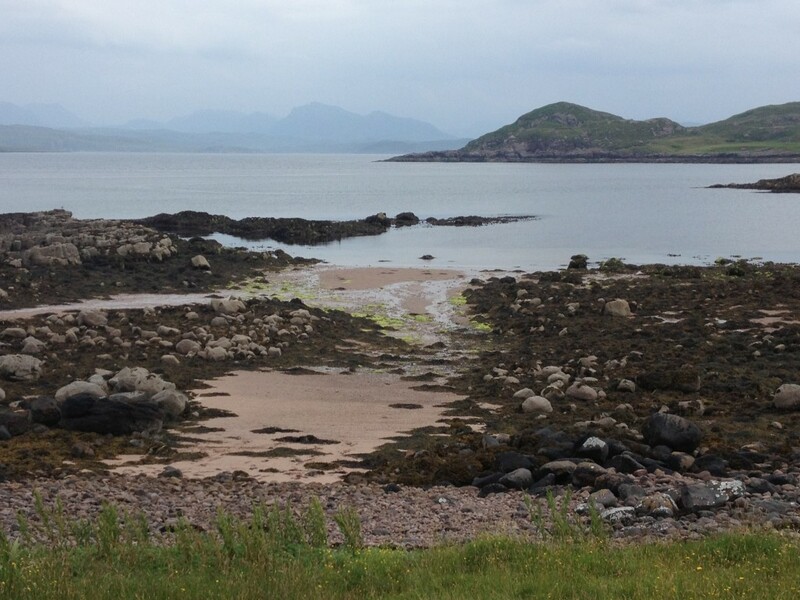 We decided not to stop for our picnic, and headed back to Gairloch to eat near the harbour. The boat trip was fantastic, I didn’t realise we’d see so many things. Steering the boat was epic! (Highest praise indeed). The only downside to our holiday was the unwelcome wildlife. Midges, ticks and horseflies abound. Midges are active on calm evenings and early mornings from May-August. We used insect repellent liberally but were still bitten in places that we didn’t think to use it (inside ears, under watch straps). Our son also managed to pick up a couple of ticks, whilst rolling around in long grass. These should be carefully removed as soon as you find them. The Sealife Glass Bottom Boat tours cost £18.50 for adults, and £12.50 for children. This area looks absolutely gorgeous, I’d love to go. 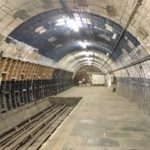 Your photos are great and it’s good to hear what worked for you there. 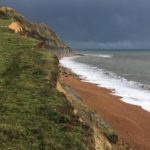 I’d love you to join in with my weekly Family Days Linky over at mumsdotravel.com, if you’d like to! Hi Gretta, many thanks. I would love to join your linky, but couldn’t find a live link on your website, I’ll check back a little later in the week to join in. Wow this looks stunning! It’s further North than we went this year but definitely one for me to add to our future holidays list. Amazing that you saw Minke whales too! 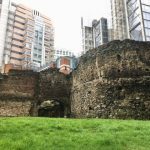 Fab post with loads of useful info.